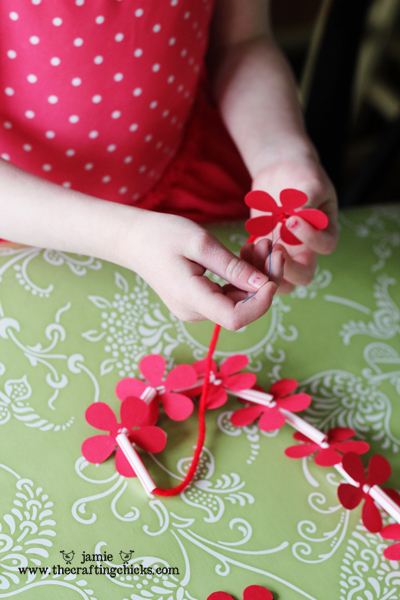 This craft is a fun way for kids to create and learn motor skills. They will love making these leis for a luau or any party. I am excited to share my RED summer project with you! I am a preschool teacher and in a couple of weeks, we are going to be having a Hawaiian Luau! I thought it would be fun for the kids to make their own paper Leis. 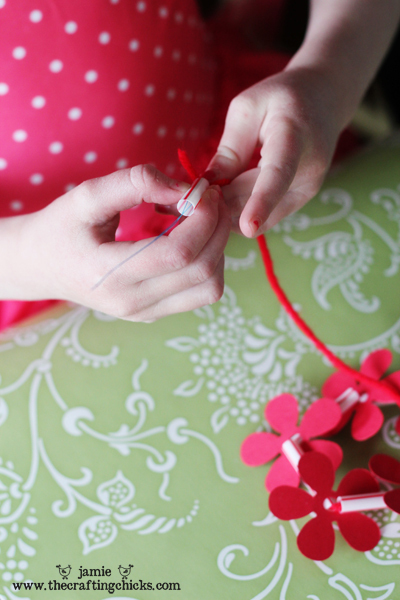 I loved the idea of using bright RED paper flowers. 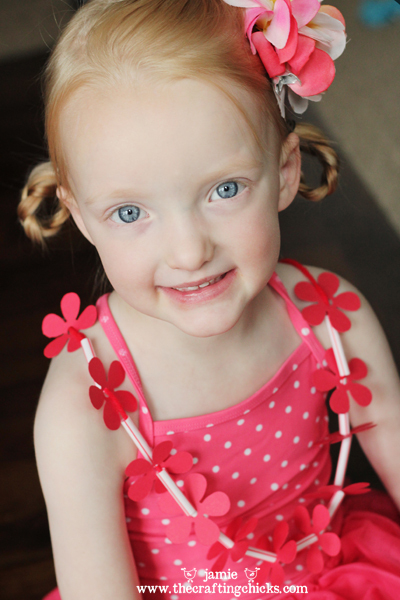 Here are some tricks to how we made these-so you can get ready for a LUAU party this summer! 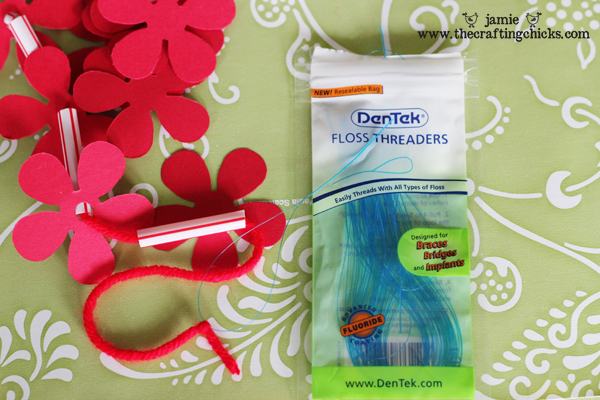 These floss threaders are a must if you are having kids make these leis. Tie the yarn or string around the hole of the floss threader and your child will have a much easier time placing the straws and flowers on the yarn. I use these in my preschool for lacing and other neclace making activities as well. 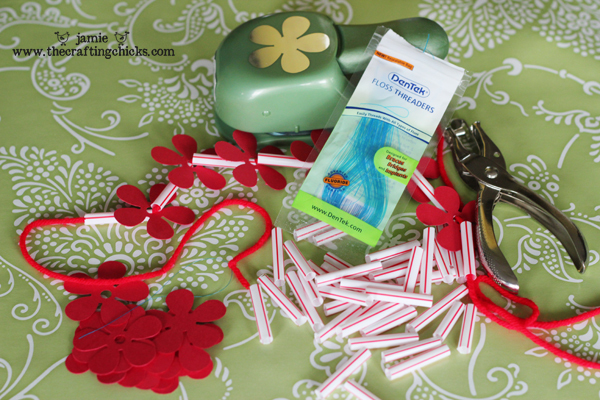 -Start by cutting your straws into 1 inch pieces and punching out your flowers. -Punch a hole in the center of each flower. -Cut your yarn or string to the desired length and then tie on your floss threader at the end. 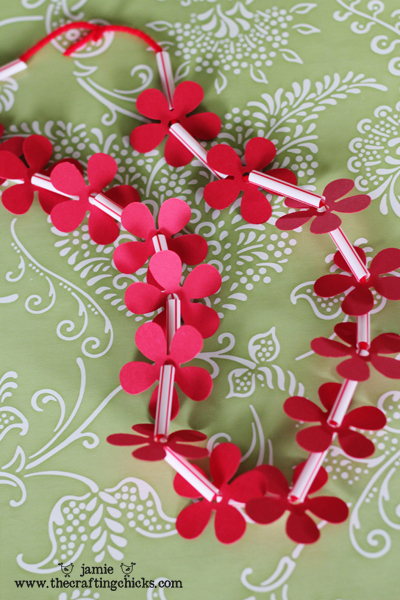 -Let your little one add a straw then a flower, creating a pattern. You could use multiple colors of flowers and make an even brighter pattern. 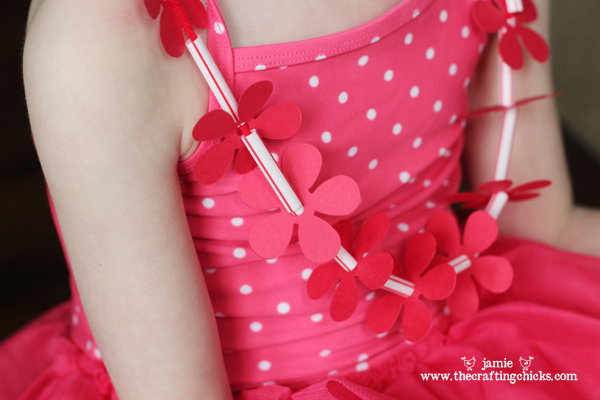 -When finished adding straws and flowers, tie the end strings together! Now you have a very cute Paper Lei! You are ready to HULA! My little girl was excited to wear her Paper Lei! Can’t wait for our LUAU! This is too cute! Adding to list of things to do!!! Thank you Jamie for being my guest. This is such a great summer project. And thank you for being flexible with all the changes and idiosyncracies of this series. You guys are great. these are ADORABLE! Bookmarking this for next year when I teach K-2. 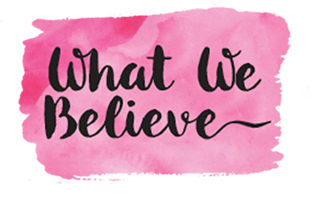 What a cute projects for kids of all ages!! I shared your link on my facebook page: https://www.facebook.com/pages/Crafter-Hours/182950868417787. Thanks for the post! Great idea to make your own! My daughter’s class is having “Paradise Week” this week – these would be perfect! Thank you so much for this idea! I’m going to use it tomorrow for a luau theme for my daughter’s homeschool girls club. A tip for others–the straws we were going to use went right through the holes in the flowers so I opted to use rigatoni noodles since they were bigger. The floss threaders are going to work so well. Thank you! Thank you!!! This is great! So cute! Great and easy idea! Just wondering, approximately how many flowers do you need per lei? It really depends on the size of the kids, but I would say anywhere from 14-20 would be a good number.